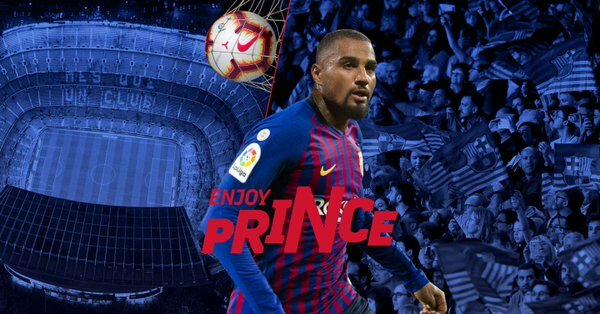 FC Barcelona has confirmed the signing of Ghanaian midfielder, Kevin-Prince Boateng on a season-long from Sassuolo. The move was announced by the Spanish League leaders on Monday evening via its Twitter handle using an interesting video where Barcelona players like Lionel Messi and Luis Suarez got notifications on their phones of the arrival of a new player to the club. Earlier on Monday, rumours started to grow that Barcelona were interested in signing the player to help their attack in the second half of the season. The rumours were confirmed by Italian football journalists who stated that the player was on his way to Spain for a medical. Citi Sports sources close to Sassuolo also stated that Boateng left the team after Monday’s training to head to Spain. Boateng will sign his contract, do his unveiling and meet the press on Tuesday, January 22 at the Camp Nou. The loan move also has an 8-million euro purchase agreement should Barcelona decide to get the 31-year old on a permanent basis.